Turn now to face the Fountain of Juturna, tuning your back to the Temple of Caesar. Keep walking along the street to your left, towards the ruins of a white semi-circular wall. 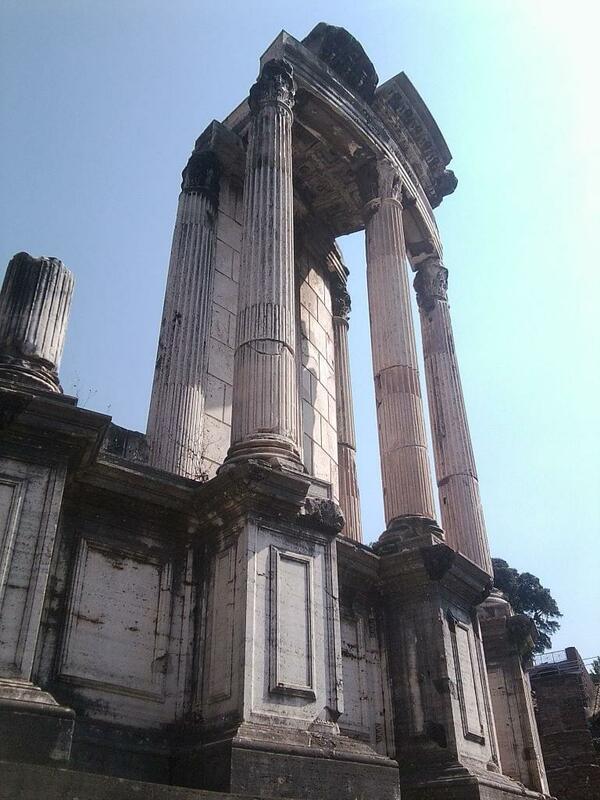 This is the Temple of Vesta.